well it's been quite some time since i last updated the blog. I was having holiday so it was a good refreshing time, but this week, my class has resumed, and just telling you a news, i am currently having specialism project in fashion pathway. Wish me luck! i have just realized this as i look up and took this picture, seeing the resemblance of ION Orchard pillar and the real tree nearby it. ah, yes, it is the concrete jungle where our dreams are made of. 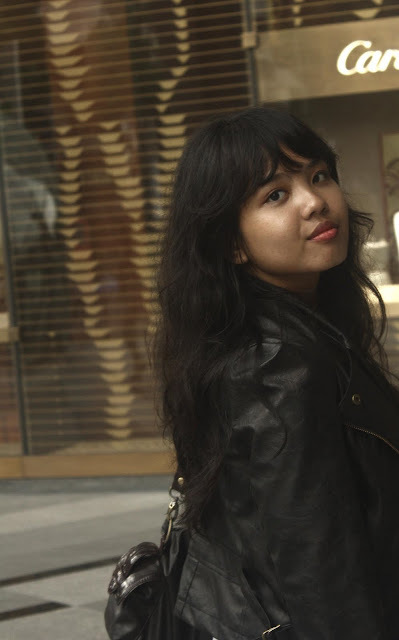 and fotonya keren", so glad u update your blog again!! 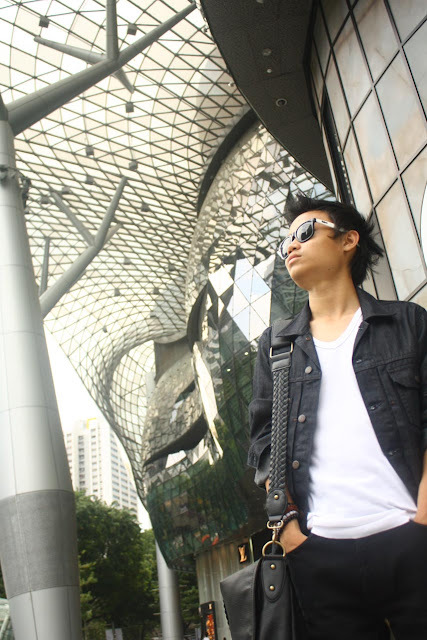 dangg, more often i visit ur blog, the more more more i miss u fhennn!!! aaaaawwhh, may please come faster! wow, the background really match u outfits! fotonya kerennnnn2 bner, and congratz masuk di outre fhen! cute outfit! very comfy chic:) i love the first picture with that awesome background! You are both so cool... no wonder you were asked to be featured in the street style blog. nice places . do you live in spore ? congrats for featuring on the Outre. 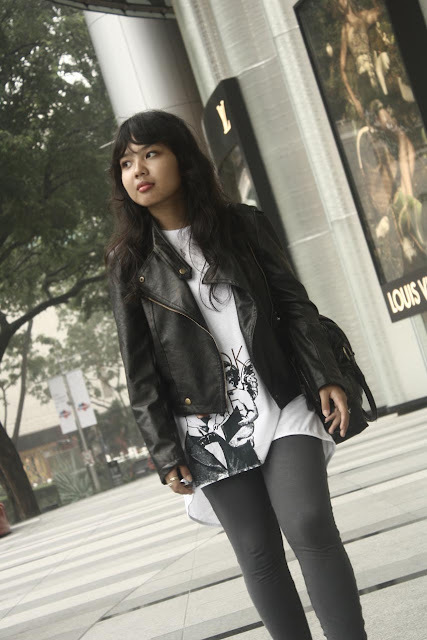 wow i really love your style.. so rock chick hehe :) congrats for being featured on outre.. cool! btw i miss ur blog and miss u too. I love it..you look so pretty! That jacket is soo perfect! Words cannot express how much I want a buttery soft leather jacket that is flattering, and yours seems to tick all those boxes. I missed you so much!!! how are you, Fhen? however you two looking great here, love your shoes!! 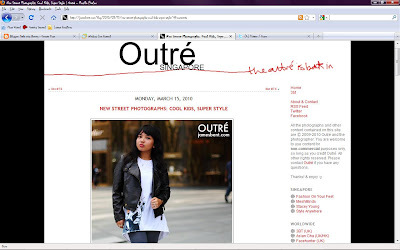 congrats on being featured in Outre, you and your cool outfit deserve it dear! my dogs race is labrador! comfort outfit (: i love your rings ! anw.thanks for the comment on my blog. the jacket is amazing and always a classic!!! superb fashionable . 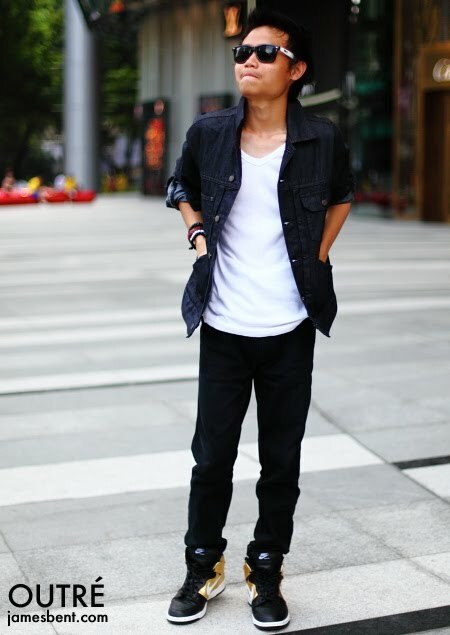 aku suka banget yang ini, simple tp stylish . anyway, please check out my latest post here. 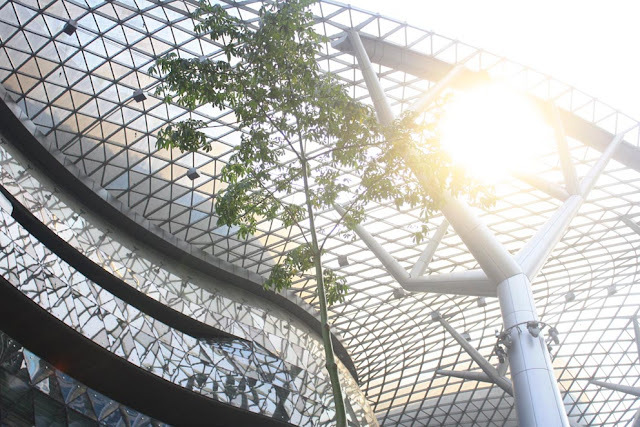 wow what a completely amazing looking shopping centre! Fab architecture, great outfits too! 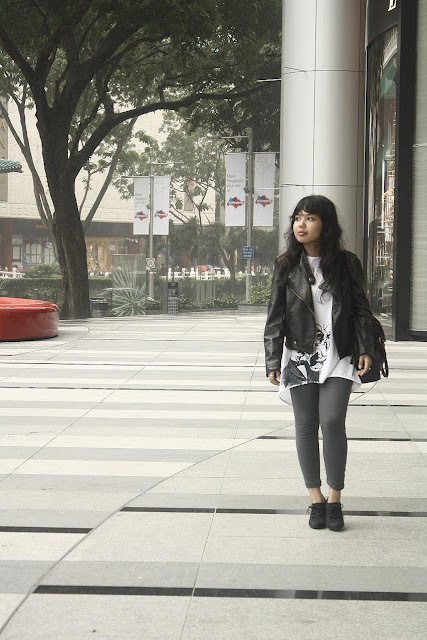 You both look very cool in the concrete jungle. Loving the LOVE ring! so cute!! Great looks in a great context! Hey there! Thanks for the comment and follow. UI have returned the favour. Looking forward to becoming a new follower. and the background quiet cool! you two both look amazing :) i adore your jacket, i want it! you're incredibly pretty too! i was actually already following you ;) thank you for stopping by! Love both of your outfit, and that "love" ring! i love these pictures! you two look fab! and i love your lip color!! i love the shirt + rings! i like the sliver/mirror building thing... do you even know what i'm talking about? probably no. i love your f21 rings too! ah you are the sweetest thing. I'm looking for a ring like that! and thanks for the sweet comments, so sweet of you! ini balasan komenmu di blogku :) thanks ya udah mampir hehe. love love your style dear. you look so amazing. 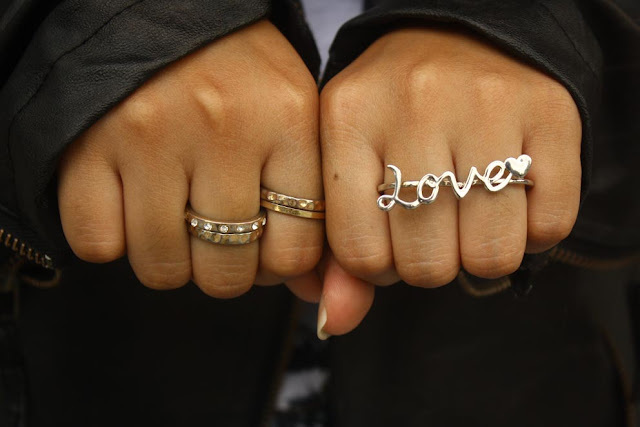 I really love the 'love' ring and the white top!! Cool outfits!!! you look amazing dear! o-m-gee! love!!!!!!! ur sunglasses are amazeballs! thx for the comment by the way yea who know drake and lykke li would make magic together right?! thanks for stopping by my blog! I like your outfit a lot--I have similar leggings too. And it's cool you got photographed! gorgeous! I understand why you were approached to pose for a photo! You looked so cute! Congrats on your feature! Congrats on the feature btw. ANMAZING jacket. Totally dig the Love ring too! Aw, you too are darling and matching in an incredible way! I enjoyed viewing your ION pictures, I wanna visit once again... I used to live in Singapore back in 2000-2005 before we moved in Dublin Ireland, how I miss the shopping spree, high tech gadgets and cheap finds! super cool pics ci fhenny! you're coming home in may? Awesome pics! That "Love" ring is gorgeous! Great outfit! Congrats on being featured! I really like the jacket and the rings. And your friend has an awesome bag. hello hello girl! both of you look so gorgeous and fierce. perfect from head to toe fhen! oh and as i told you, the boy has a great style too. <3 rayban! hey sayang! love ur jacket fhenn..
You deserve that great feature in Outre! Singapore is one of my most fave places to visit! ohh lovely outfit, the jacket's superb! and is that your boyfriend?? he looks super stylish! I'll follow your blog,mind to follow mine? iNteReSTiNg STORy aNd CoOL PiCtuRe POSTiNg deaR.. Missing Singapore more than ever, now!